With an engine that sounds like it does, and a slick style to match its roaring performance, the new 2018 Porsche 911 needs no narration when it's in action. Found here at our Thousand Oaks, CA Porsche dealer serving Los Angeles, Calabasas, Oxnard and Malibu, the new 911 is perfect for driving around town or along the highways in southern California. Press play to see, and hear, the new Porsche 911 Carrera in action, then find your perfect setup here in the L.A. area today. What makes the new Porsche 911 really special is its capabilities that allow you to take it anywhere. There are other new Porsche models that are better equipped for extreme off-roading, but in a pinch, the new 911 will get you around safely. With those capabilities, you'll be able to travel to some incredible locations in an incredible luxury car. 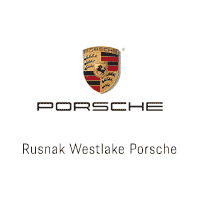 Swing on over to Rusnak/Westlake Porsche today and see how the new 911 excites with its sights and sounds.